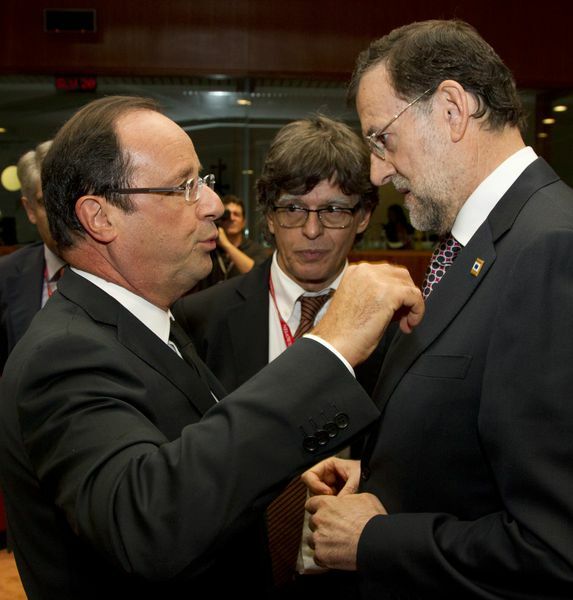 And Let the Upgrade of the Eurozone Begin Now! By the last for this year EU summit in December the technical details on the establishment of the Single Supervisory Mechanism (SSM), considered the basis for the future banking union, have to be ready and the Eurogroup (the eurozone finance ministers) have to define the criteria for the direct recapitalisation of banks through the eurozone rescue fund. This is what the EU leaders agreed at their autumn summit in Brussels, which lasted, as the tradition commands, until the early hours of the day. As much as this is a good news because it creates the feeling (also stated officially as the main goal), that the EU delivers on its commitments, as many questions remain, the answers to which is not very certain if they will be ready by the end of the year to help complete the main objective - the mechanism to be ready as of 1st of January 2013. The date 1st of January 2013 is pointed out as a beginning of the work of the banking supervision in the proposal of the European Commission. Because the EU leaders decided in June that they will bind the establishment of this mechanism with allowing the permanent rescue fund of the euro area to start lending directly to banks for recapitalisation, this date is considered as key, as one of the most urgent beneficiaries of aid is Spain, but queueing up are also Ireland, which hopes this mechanism would help it relieve its public debt, thus reducing the interest rates for servicing it, but Cyprus as well. The queue, however, is constantly growing because Slovenia is having problems too with the banking sector. 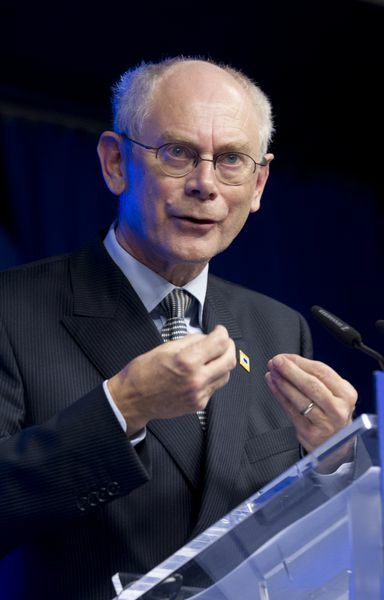 In Herman Van Rompuy's interim report, aka the report of the four presidents because there are contributions by the leaders of the Commission, the central bank and the Eurogroup, it is written that the establishment of the supervisory mechanism is a matter of priority - a formulation which the European Council agrees with, as in the summit conclusions it is said "with the objective of agreeing on the legislative framework by 1 January 2013". The main question, however, which journalists asked early in the morning in the Consilium press centre, is whether this means a definite commitment the mechanism to be ready by then or is it just a wishful thinking - a question to which Herman Van Rompuy and Jose Manuel Barroso responded by quoting the relevant text in the conclusions. This gave grounds to suggest that there is a certain, albeit thin, difference between the objective and the commitment. According to Mr Van Rompuy, in June the leaders did not commit to a specific time line, while now there is a clear commitment. Nothing can happen in one night, he explained. Mr Barroso, for his part, emphasised that January 1st was the objective. But will it really be reached is a question that still remains open. What does the mechanism do? The European Commission proposes the European Central Bank (ECB) to receive the powers to supervise all the banks in the eurozone from January 1st 2013, starting first with those that had received financial assistance with public money, then covering all the systemic banks and as of the 1st of January 2014 to cover all the banks in the euro area, estimated to be around 6,000. This proposal caused some serious disputes, however, and the firm insistence by a group of countries, led by Germany, Finland and the Netherlands, a clear distinction to be made between the supervisory functions of the bank and its monetary policy. Therefore, the leaders have written in their conclusions precisely this - that the adoption of the SSM will depend on three important elements: a clear separation between ECB monetary policy and supervisory functions, a balance between rights and obligations for all Member States participating in the new supervisory arrangements and appropriate accountability of the new single supervisor, including to the European Parliament. In the report of the four presidents it is written that in order to keep the single market intact and to avoid a split between the eurozone and all the others in the EU, the existing European Banking Authority, established two years ago mainly with monitoring functions, should keep its role and focus on the creation and implementation of a single rulebook to ensure equality throughout the EU. 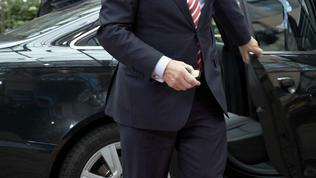 Besides, the EBA will play the role of a mediator between the national supervisors and the ECB. This is precisely what has been taken into account in the conclusions from the summit last night, but it is added that "an acceptable and balanced solution is needed regarding changes to voting modalities and decisions under the European Banking Authority". 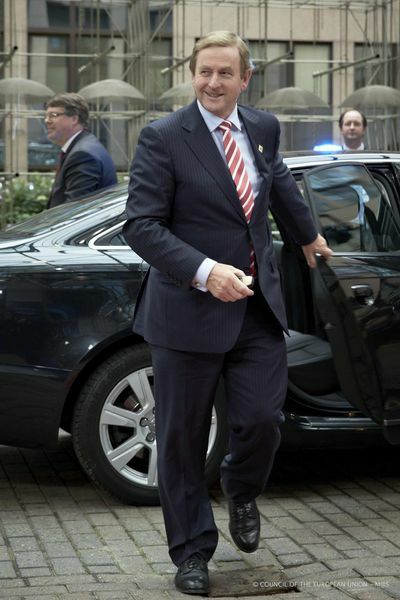 This morning, on his way in for the second day of the summit, Jyrki Katainen, the prime minister of Finland, said he was satisfied. 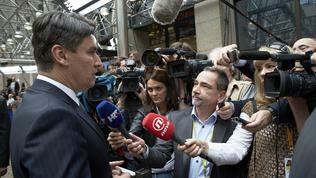 "Now we have a clear intention to try to solve all the details in the banking union". He said that some technical issues remained open. 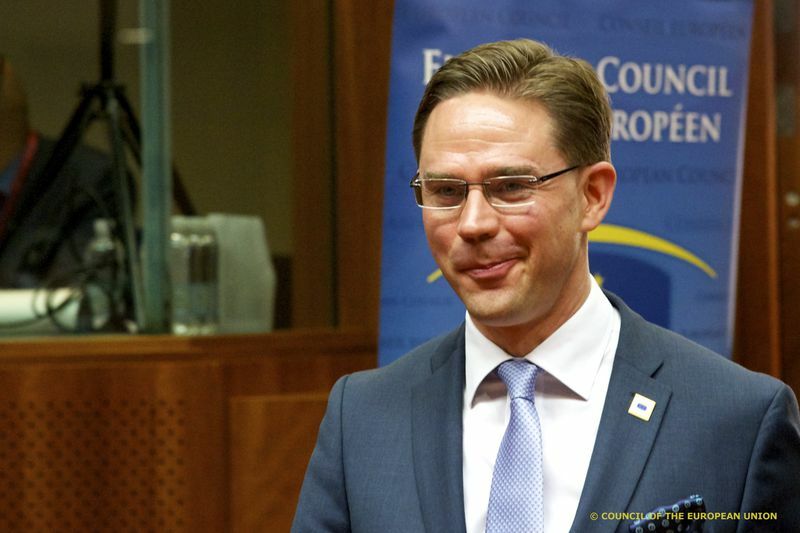 Mr Katainen did not specify which these technical issues were but said that the biggest issue "is that we want to separate the banking crisis from the sovereign responsibility and this is the biggest issue for the ordinary citizens and the ordinary tax payers". He hinted, though, that there is still no solution to the question how to ensure the membership of non-eurozone countries in the banking inion. French President Francois Hollande also seemed happy but he only said to the journalists that "we have a good agreement". The problem with the participation of the non-euro countries was raised very seriously by European Parliament President Martin Schulz. In the beginning of the summit yesterday, he told the leaders that the most important thing at the moment was to avoid creation of parallel unions with new parallel institutions. He regretted that the European Parliament was ignored from the drafting of the banking union and warned that the Parliament did not find the division to euro- and non-euro countries to be a working solution. "Given the very close nature of the economic links between all the EU countries, we regard a single banking supervisory authority as essential. For this reason, the European Parliament is insisting on the involvement of all the EU Member States which have not yet joined the eurozone, but which are bound by the Treaty to introduce the common currency". The establishment of the banking union is a serious riddle for the legal experts of the European Union. As The Financial Times wrote, the legal service of the Council had prepared a secret opinion, saying that the creation of the SSM is illegal, given the existing legislation of the Union. In their conclusions, the leaders write that the process towards deeper economic and monetary union should build on the EU's institutional and legal framework. As the objective is 1st of January 2013, until when there are less than 3 months, treaty changes are excluded because their approval would take too much time. But the novelties already caused concern among the member states. 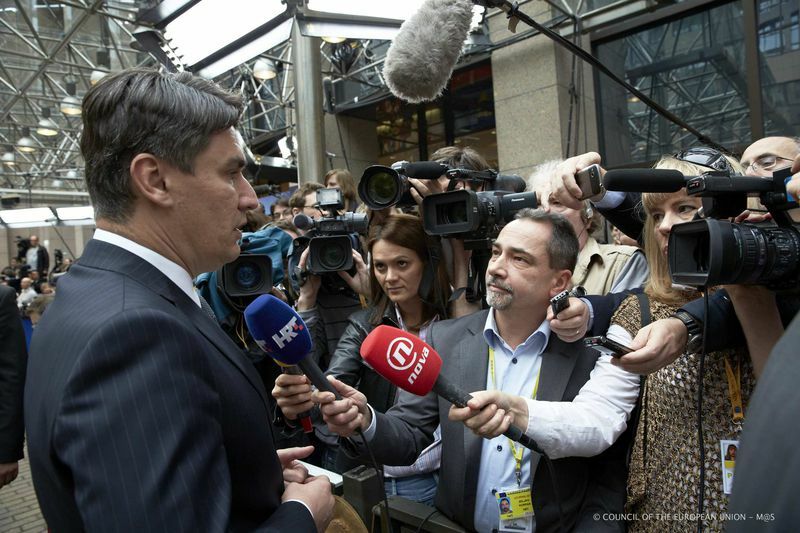 Before the beginning of the summit, Croatia's PM Zoran Milanovic, whose country is planned to join the Union on the 1st of July 2013, said that the considered ideas were a change to what Croatia signed on December 9th last year and which Croatian citizens approved at a referendum in the beginning of the year. He said that the new ideas, when they are enforced, will be subjected to a referendum again, if possible even before the country's accession, Mr Milanovic added. 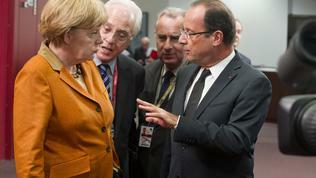 Will the eurozone have a budget? 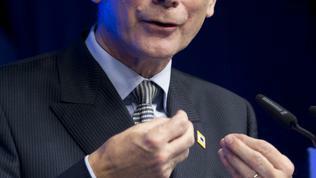 This is another of the elements in the Herman Van Rompuy's proposal for upgrade of the Economic and Monetary Union. The budget is enshrined in the draft documents in a quite complex and mystic way under the name of "fiscal capacity", which reveals the uncertainty what it should actually be. The fiscal capacity is mentioned in chapter II of the proposal of the four presidents - "Integrated Budgetary Framework". The budget is a supplement to the enhancement of the budgetary discipline of the member states, as for the purpose they have to implement everything agreed so far - the Six-Pack, the Treaty on Stability, Coordination and Governance (aka Fiscal Compact) and the Two-Pack which, however, is still in a legislative process and is not adopted but it mainly deals with the eurozone. Second comes the fiscal capacity. It is still not clear what will it look like, but it is clear what it should not be. In the presidents' proposal it is written that whatever it may look like it should not have anything to do with the EU's common budget. Something that was repeated a number of times this morning. One of its possible functions being discussed is this "capacity" to facilitate the efforts of a member state suffering from country-specific shocks. The purpose, however, is any country-specific problems to be addressed by monetary policy first, while the fiscal capacity is considered a supplementary tool. Here there is a risk of overlapping the functions of the permanent rescue mechanism of the euro area but this is precisely why in the report it is said that the European Stabilisation Mechanism is created as a crisis management tool which cannot absorb shocks. This means that the future fiscal capacity will have more longer-term functions, related directly to facilitating structural reforms, aimed at improving competitiveness and potential growth. As the report notes, an important aspect of the new tool will be whether it should be allowed to borrow. 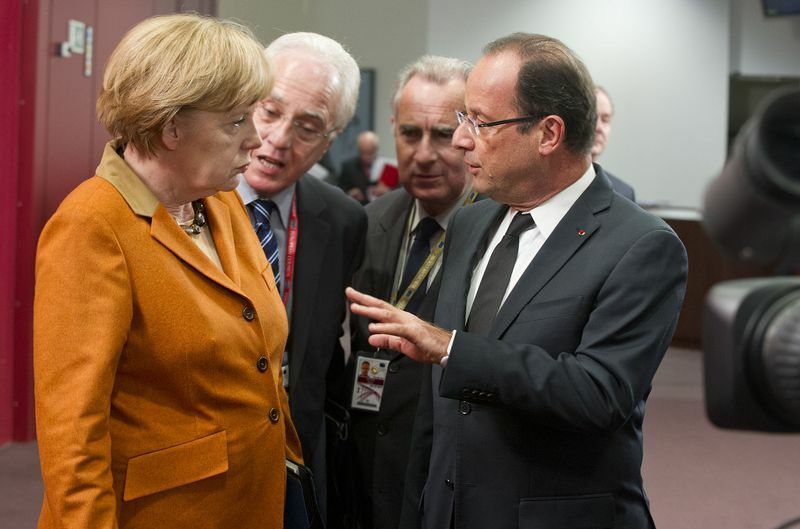 It seems the issue with a eurozone budget was left for later judging by the leaders' conclusions where it is said that the fiscal capacity "will be explored for the eurozone". It is explicitly underlined that this process of "exploration" will not be related with the preparation of the next multiannual budget of the Union for the period 2014-2020. 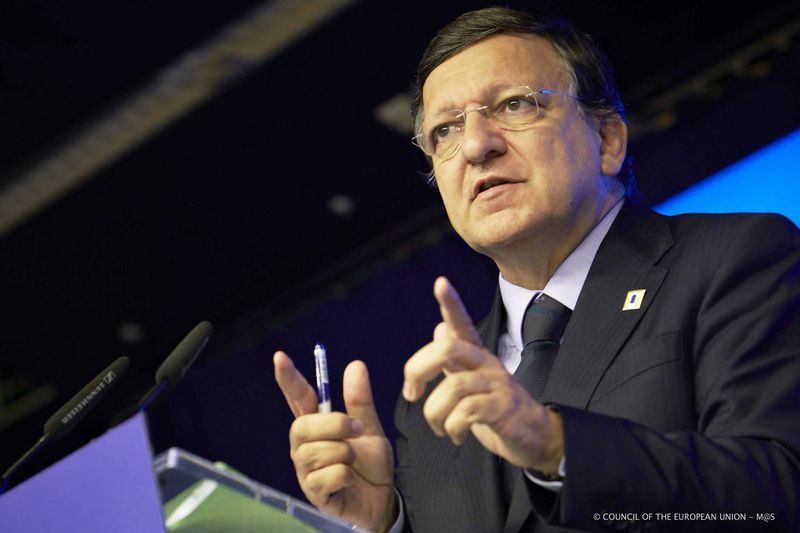 According to Jose Manuel Barroso, however, the member states' positions are already clear. He said that a stronger and more binding framework was needed for the implementation of the main economic policies, mainly in the euro area to prevent imbalances. Besides, he added, it is necessary to solve the problem with conditionality when financial assistance is provided. The discussions of the eurozone budget are in the context of another "interesting" element, as the European Commission chief called it. These are the contractual agreements between the member states and the EU. This issue is indeed interesting because behind these terms hide attempts to create a flexible mechanism to provide assistance under certain conditions. At the moment, the countries that receive help from the EU (rescue funds, relief to absorb EU funds, and IMF assistance) agree to implement adjustment programmes with measures to apply nationally. Now it is proposed these programmes to be changed and to be defined on the basis of the country-specific needs, which however have direct impact on the eurozone. At this stage, it is the country-specific programmes that fit into these conditions, introduced by the Six-Pack (the macro economic imbalances procedure). 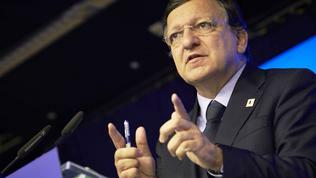 Mr Barroso again underscored that, given everything mentioned above, the budget of the eurozone cannot in any way be bound to the EU budget, which is at the moment subject to vehement debates. For his part, the president of the European Parliament said that if indeed the idea for a fiscal capacity was to be an instrument to stabilise the euro area by in the same time playing the role of debt redemption fund, eurobonds or a banking license for the permanent fund of the eurozone (all of these things the EP has been insisting for a long time), then "it would indeed be a welcome step". 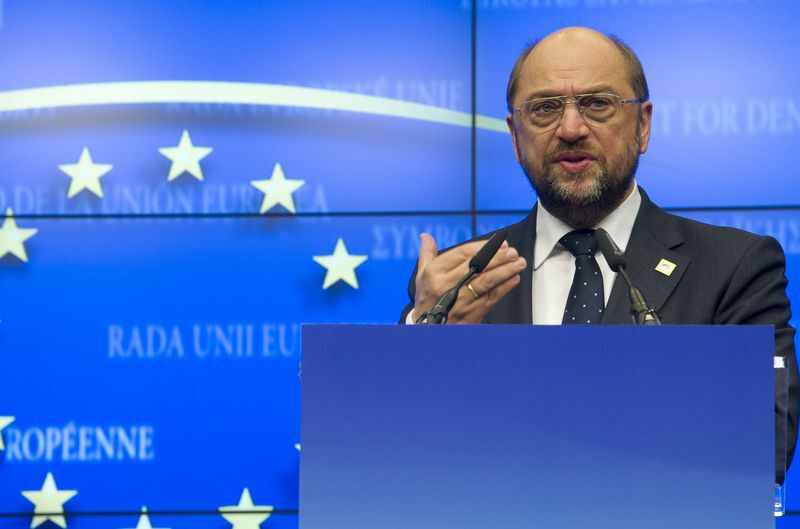 In the spirit of his fears that the currently discussed changes could lead to parallel worlds, Martin Schulz warned that the idea for a fiscal capacity should not lead to the creation of a parallel budget of the EU. 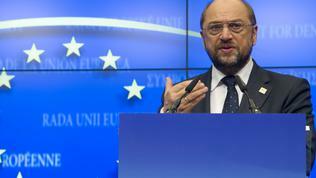 In several weeks the European Commission will present a plan for the economic and monetary union. On the basis of the expressed opinion last night, the European Council chief, Herman Van Rompuy, will prepare a final report to present it at the leaders' summit in December. The Eurogroup will draw the technical criteria for direct bank recapitalisation by the permanent rescue fund, again by the December summit. Judging from the few but of important countries reactions so far, there are chances all this to be realised in time. But nonetheless, we should not forget what happened after the June summit when everything was agreed by and literally a day later the premiers of some countries said before their national public that they disagreed with part of the agreements. 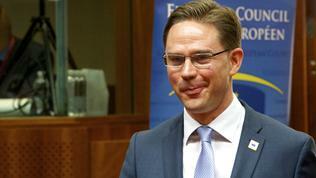 Among them, by the way, was Jyrki Katainen.